If you have a child that has trouble controlling their temper, you know exactly how hard it can be to calm them down. A few months ago I shared some tips that help calm an angry child which included ideas to use before, during and after any meltdown. 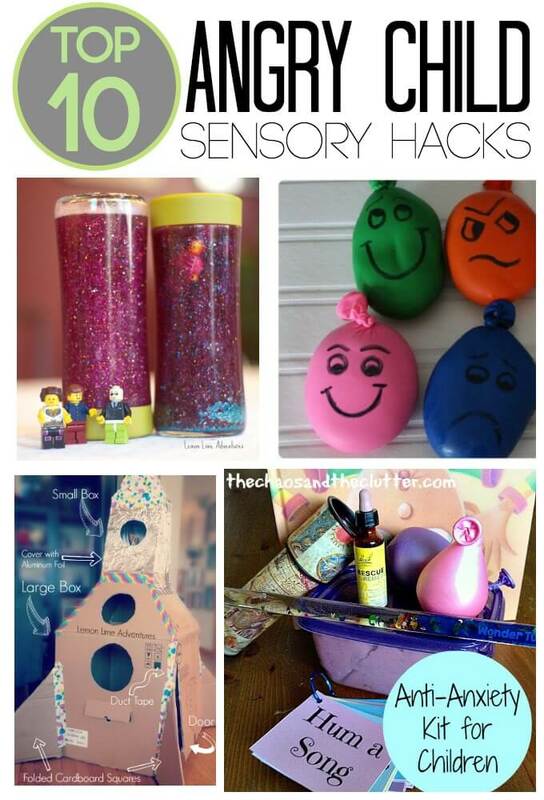 To celebrate the launch of Project Sensory, I thought it would be really helpful to do a mini-series of Sensory Hacks that could be used to help with many of the difficult behaviors that are often linked to sensory needs. After my last post about tips for calming an angry child went viral, I saw a lot of comments from readers and people on Facebook who apparently have never been around an angry child. I read comments that told me I was a terrible parent for not buckling down and giving them discipline, comments that told others that it was terrible to give children these strategies instead of time outs, and many other comments that made me step back and think a little bit about my tactics. The thing is… unless you have ever taught or loved a child who struggles with anger management, it is really easy to judge. I can admit, I used to judge too. However, I am here now to say that I spent the first 8 years of my son’s life blaming myself, my parenting and my abilities to “manage” my son’s anger. 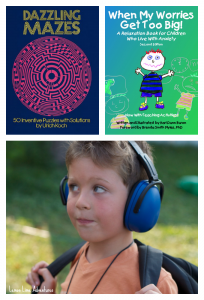 It was not until I started to understand the sensory reasons behind the anger and learn alternative methods for helping him calm down that I truly started to see a change in my son. Below, I have gathered a list of 10 simple sensory “hacks” for helping a child calm down when they are angry. Of course, these will not work with every child and every child will not respond the same way to these strategies. 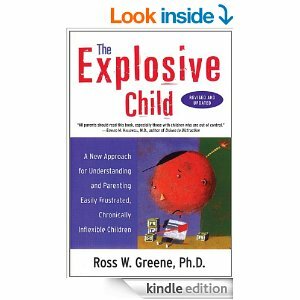 These strategies are simple that… a toolkit meant to help you and your child be better equipped next time an explosion occurs. Use glitter glue to make these Lego Calm Down Jars. Simply shake and wait for the calming to begin. Making worry stones for children to use when they are feeling nervous or anxious. Great to use in the car, at a desk or on the go. These DIY stress relievers are a great hack to creating your own squeezy tool. Have kids squeeze and take out their anger on these instead of hitting or pushing others. 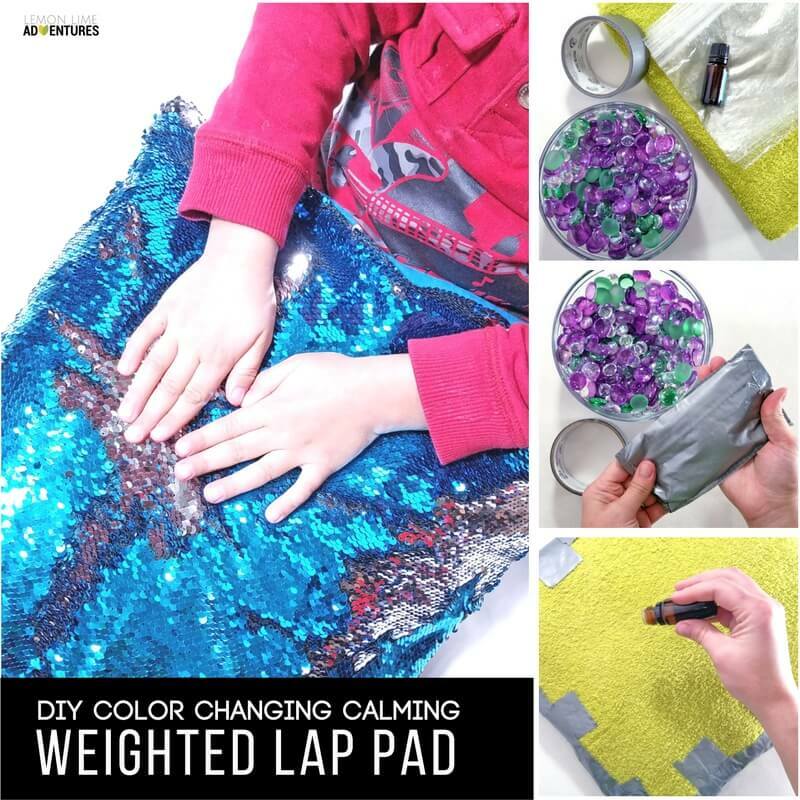 Make a Mermaid Fabric Weighted Lap Pad for your child give them some deep pressure and a fun sensory lap pad! 2 simple ingredient will help you make DIY Squeeze Balls for your child to use anytime they are angry. Squeezing the balloons helps provide proprioceptive input and organizes their sensory system. Make a DIY Squoosh Box out of a cardboard box to give your child somewhere to calm down. If you are looking for something to have on hand at all times, you can put together an anti-anxiety kit complete with essential oils, songs, and stress balls. Make a fire-breathing dragon out of a simple cup to practice calming breathes. A DIY Crash Pad is a fantastic place for your angry child to thrash and bang around without hurting them or anyone else. 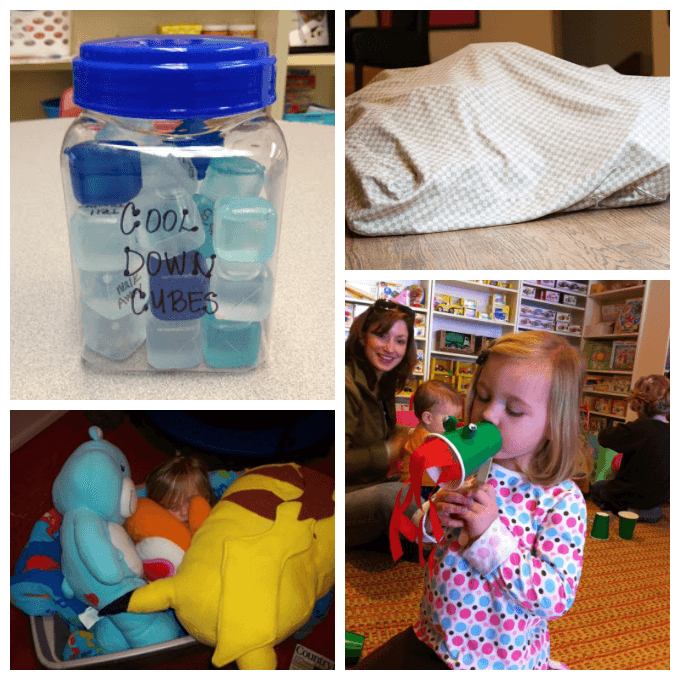 Use ice cubes to create these awesome calm down cubes for your classroom. Use pillows or stuffed animals to make a pillow cave to provide joint compression to help your child organize their nervous system while calming down. In our home, we have taken many of these items and ideas and incorporated them into our Sensory Toolkit for home and school. We continue to explore more options and are always trying new things. You can learn more about it and other sensory tools for everyday needs on our new site, Project Sensory where we hope to get tools like these into the hands of teachers and children across the country (or globe). Honestly, I wish I had the perfect answer. I wish I could tell you all of these will be the answer to all your problems. Unfortunately, I can’t. I made this site to be real and that is what I want to be. The day my last post “15 SURE-FIRE TIPS to Calm An Angry Child” went viral, guess what was happening in my house… Yep. My son was screaming, kicking, pushing, and telling everyone in his path just how much he hated them. So, no, these tools won’t be the one true answer. Instead, take them as tools. You can’t build a house with only a hammer.. you need an entire toolbox. Take these, save them, and test them out until you find the perfect tool for your child. My hope in continuing to share tools like this, is that you will find these articles and post and know you are not alone! In fact, in the last few months I have learned there are a lot of us out there trying to make the best out of parenting or teaching an angry child. It is important to remember that your child might be having trouble with self-regulation due to some sensory needs that are not being met. It is important to understand your child’s sensory systems before placing blame on yourself, your child or other caregivers. 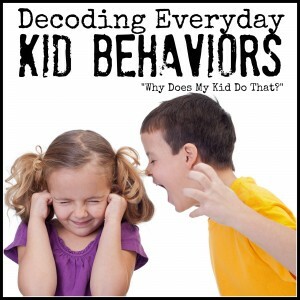 For more difficult behaviors, you might enjoy checking out our 5 week series on Decoding Everyday Kid Behaviors, where over 40 bloggers pick apart challenging behaviors and dig into the sensory behind the behaviors. 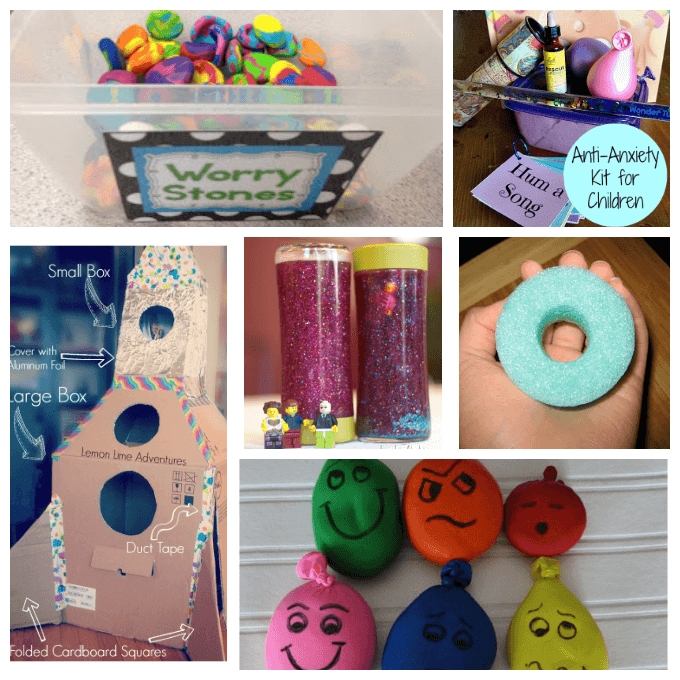 Follow Dayna :: Lemon Lime Adventures’s board Calming Anxious or Explosive Kids on Pinterest. How about you? Can you relate? Do you have a go to resource when your child starts to meltdown? I’d love to hear about it and I am sure other readers would to! Connect with me on Facebook, Twitter, Google+, Pinterest, Instagram or subscribe by email. I can’t wait to hear your ideas. Secondly, people are jerks. My son doesn’t have sensory issues he’s just… average I guess, but has his momma’s temper. And is still learning (so am I!!) to control his emotions and reactions to them. I get the SAME comments from friends when they see his meltdowns or he doesn’t listen. Sorry, tried the normal x,y, and z to stop the tantrums and disobedience, doesn’t work with him, stop telling me to keep doing it (poking a dead horse much?). I am SO excited about this 5 week series!! thank you so much for sharing these tips. My ADHD/ODD/AUSTIC child has a lot of problems with his anger. And with a child like this you do not spank or put in time out. Thank you again for all the great ideas!!!!!!!! My daughter used to lie down on the floor , bang her head and kick her heels. I had tried everything! One day out of pure frustration I lied down beside her and did the very same thing. She stopped, jumped up, put her hands on her hips and said, quite crossly, “Mommy, you don’t do that”! She never did it again. Thank you for sharing! This is a wonderful article and your son is lucky to have a mom so dedicated and loving. Thank you SO much for this post! I am a foster/adoptive mom of six children. Three of them having sensory issues. Two have behaviors (including lots of anger) that are very difficult to manage. One has Aspergers. I am so glad this was helpful! I am sure these would work well for kids with anxiety disorders or Asperger’s and Autistic children. I am going to use some of the ideas for my daughter. They are a good distraction/redirection when the child is unable to self-sooth or cope. What fantastic ideas. And all so different to ones I have come across before. Many thanks for sharing them I shall be using and suggesting them to friends. Can I ask, do you have more info on how to make some of these things?? Thanks for reading. Each item is linked in the post. The orange writing is a clickable link to the instructions. Let me know if you need more assistance! i this these produces could help a few of my Grandchildren . I am soooo glad to find this web site. I have a 19 yr old son with multiple issues, we have been loving him for all these years just can be hard at times . I also have a 6 yr old daughter no diagnosis but has anger issues at home and follows her brothers lead on everything. I can’t wait to get this article read and started. It can be very hard to deal with the stress of raising a child with anger management problems. Make sure you get the support that you need to be a happy healthy mom. Thanks for sharing and reading! What great ideas! As a parent (one of my kids is on the autism spectrum and has adhd) and psychologist, I see the value in helping a child deal with feelings rather than teaching them their feelings are bad. That is all you do when you punish a child for being angry. Thanks for the suggestions! You are welcome, thank you for reading! You are welcome! Thanks for visiting! Lots of kids autistic kids have sensory issues this is where most of these ideas come from. Unfortunately if your child hasn’t been diagnosed with sensory processing disorder you miss out on this kind of info. Awesome to ser someone publish it in the context of anger as many could relate. totally relate. They think you are just boasting about your kid. gifted kids can have a lot of issues. Don’t let what people say discourage you from raising your child. People don’t understand unless they have raised a child with these problems. I have raised this child, and with lots of therapy from the start, and a things like are on your site he is handling this quite well now. We done the joint compressions, brushing, therapy putty, chew tubed for the biting, all kinds of reward systems to promote the behavior we wanted, and the list can go on and on. My son is now in 8th grade and by God’s grace seeing all of us through he is doing well. Keep helping your child like you are doing. It will get better. My family is proof. God Bless you for helping and loving your child. I love these ideas!!!! Thank you for sharing. I’m sorry people are lame and don’t understand how sensory concerns can really turn a kiddo’s world upside down. By doing these things it shows your are a great parent who loves their child and does not want to result to corporal punishment. This also speaks to your flexibility and adaptability. Cheers! Thank you so much for this article, it’s a life saver for our house !! It’s very interesting to see the change over the years between generations. Thank you for sharing! I am so tired of being told my daughter needs a “good luck up the backside” – Australian for a good smack because of course violence solves everything. And sensory processing disorder is apparently a made up thing for soft parents. I do feel like telling “helpful” people at the shops to f-off but that’s not a good role model for my kids. . So glad you found us! I am also glad that you have found some new inspiration to work with your little one. Thanks for commenting! This post came through my fb feed and grabbed my attention! My daughter is 7 and while she can be the most loving and loveable child she can also be the opposite. Her father is bipolar and I have wondered for the last 2 years if maybe she is too but I don’t know where to start. I don’t want to assume that and medicate her but everything else just seems overwhelming when I’m already exhausted from calming her or fighting with her. She seems perfect at school, the teachers would never know that I have a child with explosive anger issues….so that alone makes me think she isn’t bipolar, because she’s able to control her outbursts in certain settings. Any direction you could give me, a starting point that isn’t overwhelming would be greatly appreciated for this worn out mom. Thank You. Thank you for sharing this. I have three year old twins and they are daylight to dark different. One of them has sensory issues and he takes his frustrations out on himself by biting his arms and scrubbing his feet together. We go to counseling to help us help him. Ignore the comments youve gotten about your post. You are right on track with all your ideas. Things you have mentioned here are all examples of what a specialist has given us to help calm our child. Anyone…anyone that has not gone through helping a child that has sensory issues has no clue and are speaking out of their own ignorance on the subject. Thank you for being honest and being real. This world needs alot more of that. I came across your blog on Facebook and I am so glad that I did, this is the only post that I have read thus far but I’m sure it is going to be a lot of help for me in the future. I have 2.5 year old triplets my oldest son has a sensory disorder (the other two do also but it is very mild) and I never understood how it was a disorder because it is nothing that I could find as “textbook”, he is a very social and loving boy but when he gets angry he does not control it well. We are afraid to take him out in public because he gets overwhelmed and gets mad easily. Then people start to judge and they do not have filters (they actually say I would spank him or my child would never act like that), it makes me so angry and sometimes I do say stuff back to them but is that what I should be teaching my kids…to give into the bullies of the world. He is seeing a psychiatrist but I really do not think she understands the problem either. Sorry this is a long comment, but I thank you again for posting this. Thank you for these! My community group at church is going to work together to make some of these so we can have them on hand at church as needed. Oh Wonderful! I would love to see pictures when you finish them! Thank you for these ideas… I have two boys – one is sweet, loving, calm- the other has the worst temper and is in an ill mood most of the time (we joke about how he basically came out of the womb this way). Both have had the same style of parenting. I’ve tried many things to help calm him down or to do what I ask of him and he fights me every step. I’ll try anything at this point. Thanks again. I am so happy this was helpful! Wow, I used to BE one of ‘those parents’ LOL ! I judged and judged cuz that’s what humans do unfortunately, that used to say ‘if that was my child’!!! until it most definitely was …. I am so enjoying your blog these days. It’s absolutely wonderful and I think you approach these touchy subjects in very appropriate mannerism. Thank you for being so helpful. Thank you so, so much! I need these kind of ideas badly. My son is very sensory, and he feels much better if I can get him to hide under a blanket when upset. I had to stop using some messier manipulatives, too, but these might replace them! I came across your site on Pinterest and I’m literally in tears. After having “one of those days” with my 4 year old spd son, I can’t tell you how excited I am for the info you have written and the tools you share. He was diagnosed, but not much info or help was given to me. He has anger issues and I know it’s sensory related, but knowing how to help him has been a challenge for me. The information you’ve written an what I’ve read so far hits so close to home and I’m just really really glad to have clicked on that picture on Pintrest tonight. I look forward to reading more of your site. Simply thank you! thank you so much for these artful ways to help calm my boy, who has been diagnosed with ADHD and ODD, and has trouble calming down when he’s flooded with emotion. his disorders are hard for our family to cope with at times, but i have learned to be less judgemental and more compassionate. everyone has some kind of obstacle in their lives to deal with, right? these tools will be fun for us to build together. he is very creative and sentimental, and so he enjoys time spent together making things, as well as appreciating those things once their completed. all my best to you. My grandson has the same things. His outbursts are horrible. He needs to calm down . I will be working on a few of these this weekend and show his therapist. Been working on things that will calm him down. Thank you for more things to make. He loves to do crafts. WOW!!! Where was this information when I needed it 7 years ago. My son was the happiest little cherub until he started school, then out came this angry little boy who I have been unable to get close to ever since. I have spent years in parenting programmes, and even the principals office to no avail. All it seemed was that doctors wanted to get him on drugs and then sweep us under the rug.Now as we head into high school and the teenage years I am even more at a loss. But in my quest for a calmer house I can use these tips to help my younger children who though don’t have the same issues as their big brother have been around and angry child so long they find it difficult to process their own emotions at times. Happy to have stumbled onto your page. Blowing soap bubbles is great too. Easy way to encourage slow deep breathing. My very intelligent, compassionate, sensitive, otherwise “normal” (whatever that means) 7 year old daughter has struggled with anger and big emotions her whole life. Once her sensory issues were finally discovered, a light went on for us. We finally understood why punishments and consequences and time-outs never worked–because believe me, we tried. Thanks to an intentional sensory diet, her behavior has improved drastically. I used to judge, too, but sensory disorders are very real, my friends. This will surely helpme with my kids in the classroom this schoolyear. Thank you so much!!! I love your calming toolbox. I work with children with disabilities in an elementary school. I can always use calming tips. I have some of these items in my toolbox and I may try one that works for a few weeks to calm the child, but I found that I have to change the items over time. You are absolutely right, if they have never taken care of an angry child, discipline is not the answer. In some cases discipline can make the situation worse. Thank you for taking the time to help others. I am a psychologist and work just with adults. I would say that two of the biggest things I see that have affected my clients and tend to underlie a lot of their psychological problems are that one, they were shamed for having feelings as children and two, no one ever taught them how to identify their feelings, appropriately express them, and calm themselves down. So now they’re 40 years old, sitting in my office, and trying to learn this all as adults who are now riddled with shame about their feelings. So never EVER let anyone second guess your methods. You are setting kids up for good mental health, wonderful relationships, and the ability to be effective parents themselves. People in general do not need to be punished (“disciplined”) for having feelings, they need to be taught how to deal with them. Keep it up!!! Thank you SO much!! What great ideas!! This post makes me so relieved to know others go through it too! And so happy to try these out! Thank you for this blog. Having children with sensory/mental issues is a real thing, and they need more than discipline. I think these are some great suggestions on helping a child to not only calm down, but also have a chance to explain why they feel the way they feel. Children do not have the same ideas nor even the same amount of vocabulary to express their truest feelings like adults do. 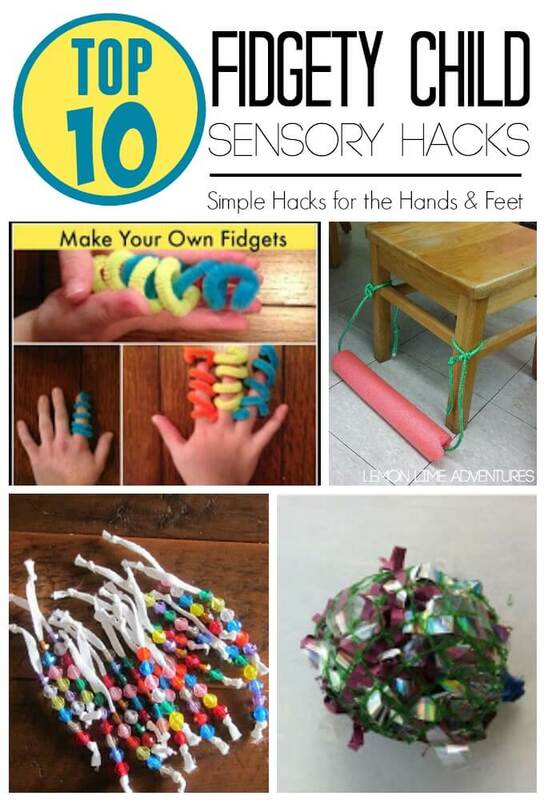 These sensory tools are a great idea. Again, thank you for sharing. What great ideas! Anger is not just misbehaving, I have spent years working with kids who had trouble controlling their emotions. Thanks for sharing! I was an angry child. I had the worst temper. As an adult I realize that physical and environmental factors worked against me. I was a preemie, I have thyroid issues and have probably always had them, and my dad had a hair trigger temper. I wish my mom had had these strategies and that my environment had been more peaceful. It could have a huge difference. Where can I find a supporting group. I have an 8 year old son with very intense an explosive emotions. Most of the time I feel like I’m falling as a mother. My husband and I are doing our best and trying really hard, but I think it is not enough. The most difficult for me is handling those explosions in public and after the episode how does my son says sorry and he tells us he is going to try harder to control himself, that breaks my heart. All I want for my son is he can be happy. I haven’t read through all of it yet, but I love it so far. I work in after school programs and have dealt with quite a few children who have struggled with anger management. Yelling definitely doesn’t work, and straight up discipline usually doesn’t either. Just makes them want to get back at you. I know from experience. This way you have a more peaceful home and/or classroom and the child is learning to self-regulate. Very odd that people would criticize the idea of actively attempting to find solutions to calm a child’s anger. This is called positive action. I always say, children are not robots, they do not come with a computer program to load up and follow certain instructions. Different children respond to different techniques, therefore, if one method doesn’t work, don’t keep banging everyone’s heads against the wall, try something else and see if you have greater success. Surely we live in a more intelligent society these days, that understand and embrace these ideas. Oh my goodness, as I was sitting here looking up calming strategies for my 10 yr old FD, she had a complete meltdown, actually I should say EXPLOSION! You are spot on that these judgemental folks have OBVIOUSLY NEVER been around a child with behavior/anger issues. These are amazing. My daughter is 18 months and unfortunately she has my temper. A temper I inherited from my dad who past long before she was born. I parent very different from my own parents. Not that their tactics were terrible just different. Everyone thinks they know better when all of us are just doing the best we can. I never comment on things but felt it necessary here. Time outs are not for every child. Every child is different just like every adult is. That’s the trouble so often we try to have this one mold for everyone. How could that work when we all have different experiences? It doesn’t. Ma’am again these are awesome and I thank you. I’m an adult and I have trouble with my temper at times how can I expect a child to be more behaved than myself. It’s a learning process. I’m just glad that nowadays this is discussed where in the past it was just spank them. They have to learn about behavior just like they learn anything else. If we don’t teach them and give them tools who will? Thank you for sharing your experience and ideas. You are right about people judging when they don’t understand. What they don’t realize is using punishment such as time outs actually make the anger worse because they are not being taught strategies to calm or replacement strategies to use. Thank you for writing this! Our almost 4 year old has had meltdowns where he is beyond reasoning with for most of his life. We didn’t know these tools were out here, we’ve been struggling with time outs and more consequences and it just doesn’t get better. He doesn’t qualify for behavioral therapy bc he’s not autistic, but yet taking him out in public can be a challenge unless he’s strapped into a stroller or grocery cart bc he struggles with following directions and has awful meltdowns when things don’t go his way. The professionals that work with him say he struggles with rigidity.